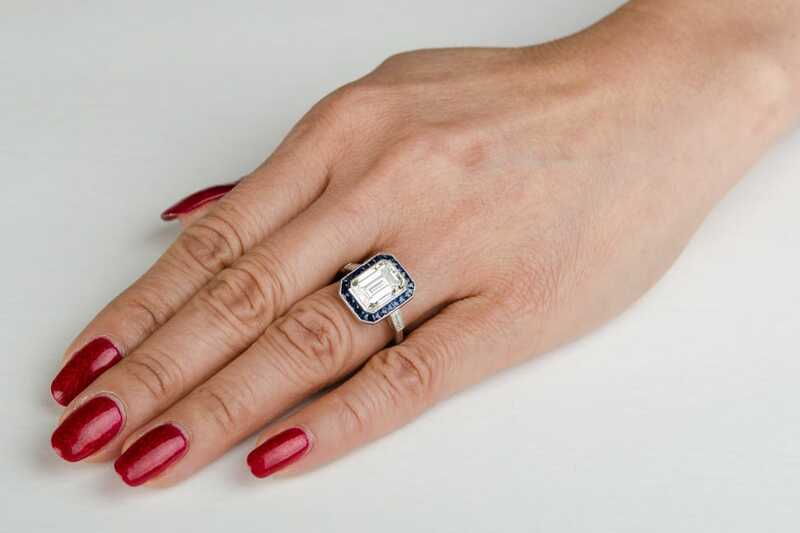 A beautiful Diamond Sapphire Halo Engagement Ring featuring a GIA certified 3.09-carat emerald cut diamond and surrounded by a row of fine natural Ceylon sapphires. 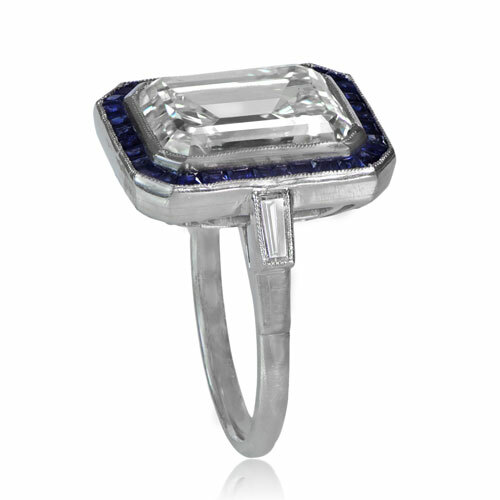 Mounted in a handmade platinum mounting, the center diamond is 3.09ct, K color, and VS1 clarity. 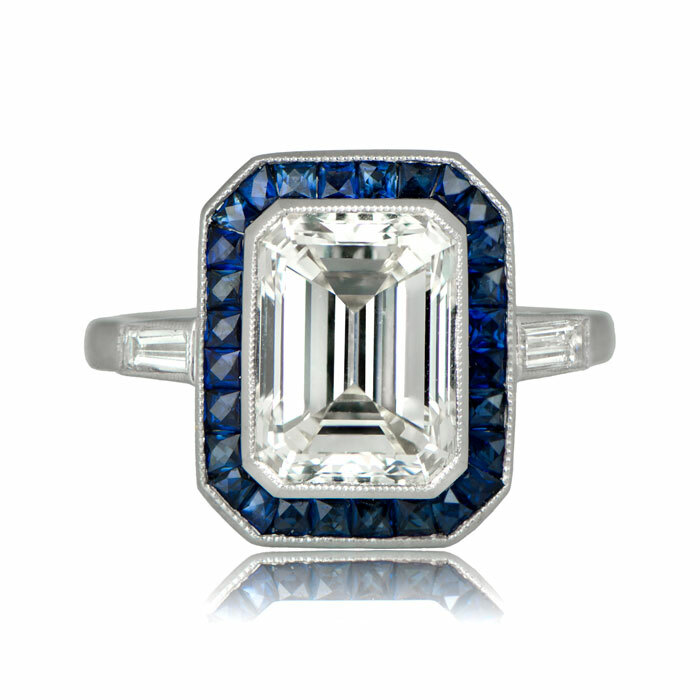 This diamond is very lively stone with a beautiful cut. 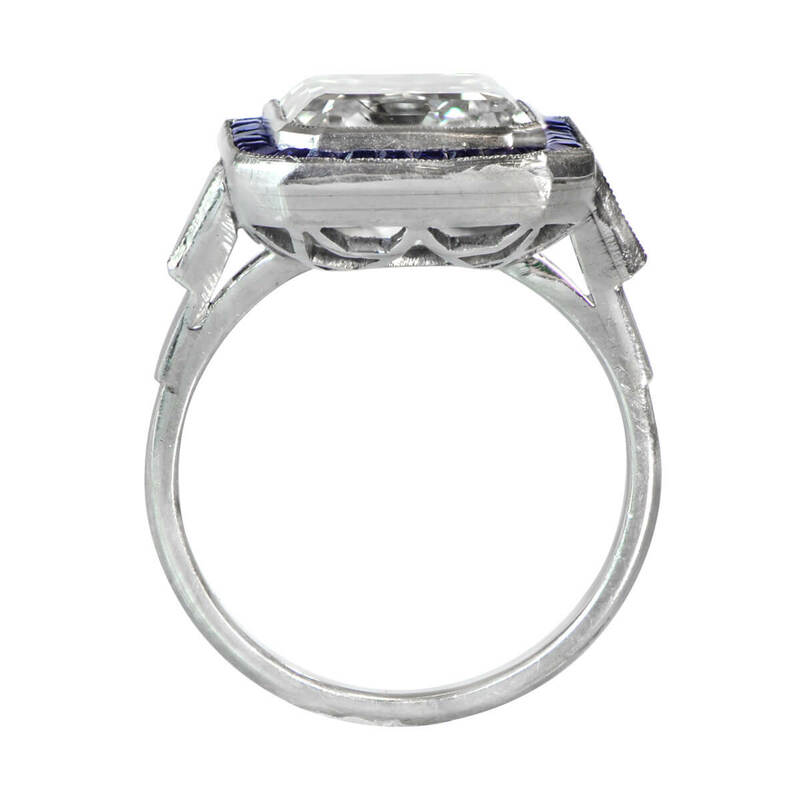 This ring is accented by one baguette diamonds on each side. 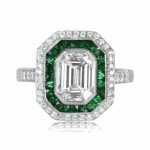 The known measurements of the center diamond are 9.14mm x 7.39mm x 5.11mm. The GIA certification is available upon request. If you have any questions about the Ludlow ring, please feel free to contact us. 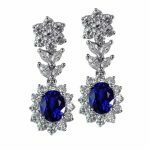 SKU: 12321 Categories: Diamond and Sapphire Engagement Rings, Sold, Vintage Engagement Rings Tag: Elongated Engagement Rings - Contact us and request additional pictures.